While there is no agreement on their label or exact range of birth years, most demographers indicate they were born between 1995 and 2010. This currently puts the “Gen Z” consumers between 4 and 20 years old, with the marketing sweet spot between 12 and 18. While we will refer to them as Gen Z, other labels include iGen, Net Gen and Plurals. Gen Z is huge. According to the U.S. Census (March 2015), those under 20 represent 25.9% of the U.S. population or 83 million people. That makes Gen Z the largest generational cohort, surpassing millennials (24.5%) and baby boomers (23.6%). Gen Z are also the most ethnically diverse in history, representing the last generation to be majority non-Hispanic white (52.9%). 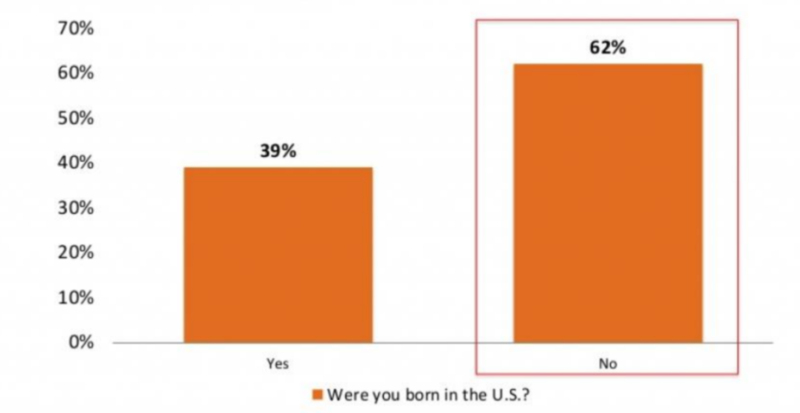 Hispanics represent 23.5% of the total Gen Z population and a whopping 93% are U.S. born. According to the Pew Research Center, the majority of Hispanic babies — 55% — are born to mothers in their 20s. This means a disproportionate percentage of Gen Z Hispanics are the children of Hispanic millennials, not Gen Xers. We are only now starting to understand this newest generation of consumers. If we drill down to Hispanic Gen Z, the research is virtually nonexistent beyond top-line data regarding their ethnic makeup and nativity. However, we can parse the research on Gen Z and begin to think about how it aligns with what we know about Hispanics, particularly their parents and closest generational cohorts – Hispanic millennials. These generational differences are significant and likely to manifest themselves among Hispanic Gen Z, considering the large majority are U.S.-born and growing up in diverse social circles. We can expect many of these behavior characteristics to result in points of tension for Hispanic Gen Zers, whose parents, grandparents and even older siblings think and act very differently. Yet, it is likely that Hispanic Gen Zers will break with generational trends and show some key differences in attitudes and behaviors resulting from the fact they are much more likely to be the children of immigrant millennials (Hispanic Millennial Project). This includes being more likely to believe in the American Dream and placing greater importance on higher education. Will they be “post-racial” and redefine the role of ethnicity in similar ways to their progressive attitudes on gender? Or will their awareness of the importance of Hispanics in the country lead to a type of retro-acculturation? How will their over-connectedness impact their media consumption, particularly as it relates to ethnic-specific media? Will their orientation towards image-based content and symbols (emojis, emoticons) disrupt the role of Spanish in their lives? How many Gen Zers will emigrate to the U.S. from Latin America during the next 10 years, considering they will be in their prime “immigrating years” of 20-30? Smart marketers will start trying to answers these questions now, particularly those in California, Texas and Florida, where Hispanics make up 30%+ of the Gen Z population.